Some people love the songs of summer, this week we were excited to read Billboard’s list of the 20 Best Songs About Diamonds. 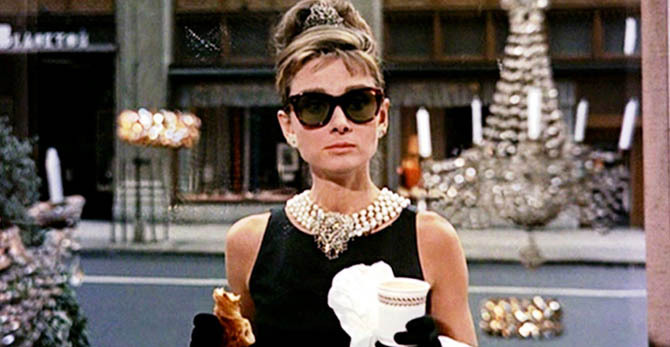 We were fascinated to hear how Tiffany’s is about to begin a full renovation of the historic flagship store in New York to keep up with the changing retail landscape. Speaking of new retail ideas, one of the most innovative things we have come across was a story about a new concept store in London named Felt, that accepts barter for payment. 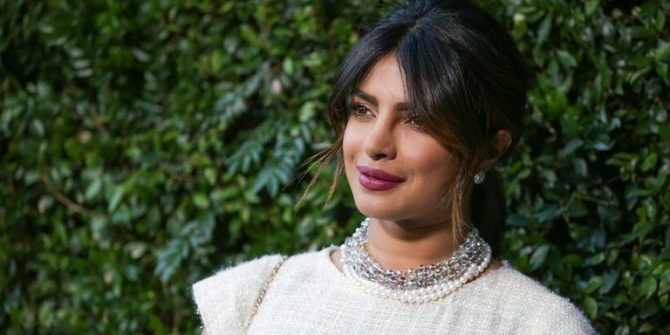 After weeks of being coy about her engagement ring, Priyanka Chopra finally showed it off. 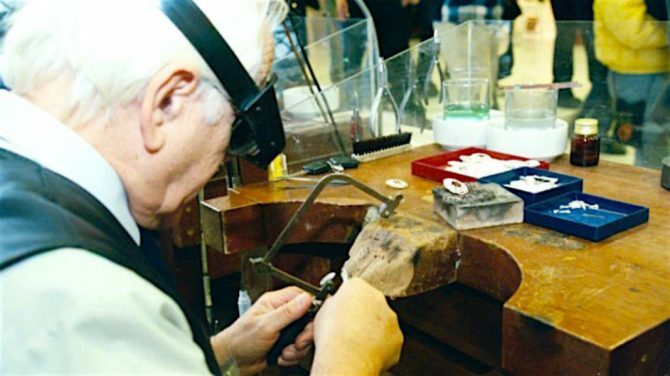 The most touching news we read in the last few days was about a septuagenarian Greek jeweler in Rhodes who is working to keep ancient techniques alive. 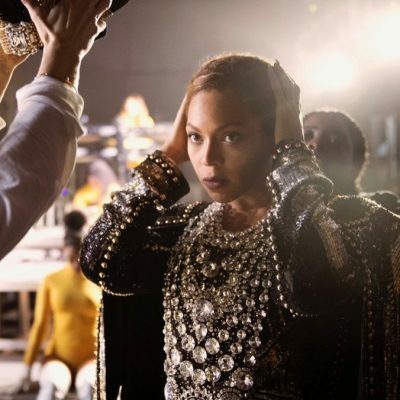 From Billboard—Diamonds have inspired artists for decades with their illustrious shine and strength. Given their status as the supreme stone, it’s no surprise that everyone from Marilyn Monroe to Drake has used them as a symbol for love, luxury, excess, sparkle and money. While too many songs to count reference the glitz and the glam, the sparkle and shine, we’ve rounded up the 20 best songs about diamonds, from Rihanna to The Beatles. 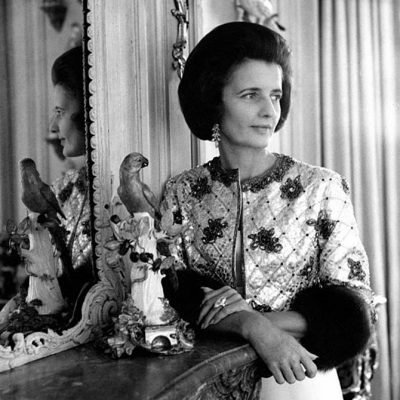 From French Vogue—Since 1940, Tiffany’s has been famous for its yellow diamonds and collaborations, causing collectors and jewelry lovers alike to flock to the Fifth Avenue boutique. It’s also the lusted-after location of Audrey Hepburn’s Holly Golightly, who eats her breakfast in front of the store while wearing a classic Givenchy creation. The store is being renovated, with the CEO Alessandro Bogliolo stating that he wants the empire to evolve with the times. Each of the ten floors will slowly be spruced up while remaining open, with a projected end date of 2021. From the Telegraph UK—“People would come in and just say, ‘I want that. But I can’t afford it,’” says founder Eliza Poklewski Koziell. “And I’d say, ‘Do you have any jewellery that you don’t wear any more?’ So the recycling element of the business started that way.” Now, around 50 per cent of the stock – with prices between £15 and around £6,000 – comes from clients. It sits alongside new designs bought from little-known jewellers, and pieces Poklewski Koziell has designed herself to fill gaps she sees in the market. All of it is displayed together, costume mixed in with heirloom. From Harper’s Bazaar UK— Last month, it was reported that 25-year-old singer Jonas proposed to Chopra on her 36th birthday, and allegedly closed down a Tiffany & Co store in order to choose a ring. From Greek Reporter—The setting of the medieval cobblestone streets of Old Town on the Greek island of Rhodes is where one Greek goldsmith is keeping the dying tradition alive. Local jewelry-maker Nikos Vassilaras uses hand tools to sculpt and engrave his pieces of art. He is one of just a hand-full of traditional jewelers on the island that still uses techniques that date back centuries.